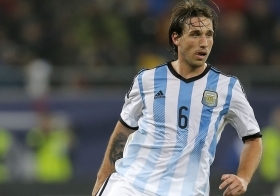 Liverpool are planning a January move for long-term Manchester United target Lucas Biglia. The Lazio midfielder had been linked with a switch to Old Trafford in the summer, but a deal never materialized. According to Italian publication Gazzetta dello Sport, Reds boss Jurgen Klopp is ready to offer the talented enforcer with a chance to impress in the Premier League. The report adds that the Reds are likely to face stiff competition from the Red Devils, who are still said to be interested in the player's services. Biglia has amassed four goals and two assists for his side this season.